In spring 2011, Mainspring acquired the 101-acre Welch Farm on the Valley River. Located a mile-and-a-half west of the Andrews airport, the Welch Farm contains exceptional surface waters, productive farmland, rich cultural history, and scenic beauty. In addition to nearly a mile of river frontage, the farm contains three creeks as well as 3,000 linear feet of oxbow wetlands, which provide outstanding waterfowl habitat. While an incredible conservation opportunity, the Welch Farm property is not pristine land. 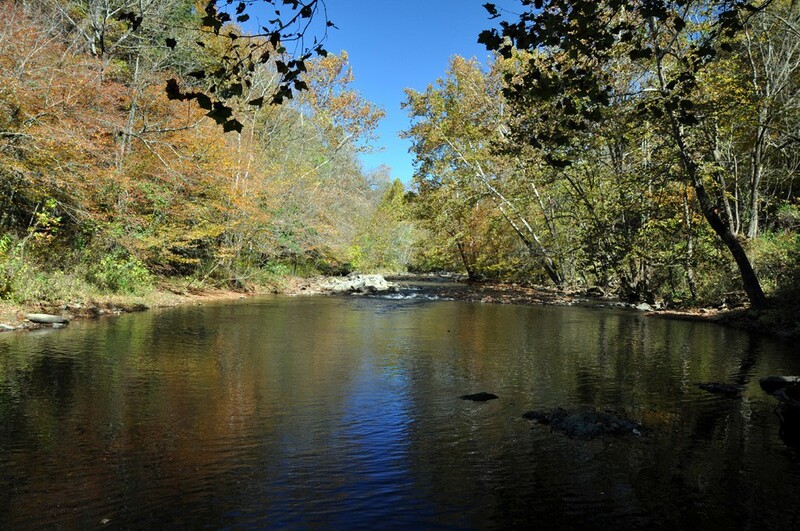 Mainspring, with partners including the Hiwassee River Watershed Coalition, the Cherokee County government, and volunteers, has stepped forward to restore ecological health to the property. Mainspring is also working with Cherokee partners to propagate rivercane, butternut, and other native plant resources useful to Native artisans for basketry and blowgun making. Learn more about visiting Welch Farm. Enjoy this video of Mainspring staff working with with a neighboring private landowner to conduct non-invasive Ground Penetrating Radar research, funded by the Cherokee Preservation Foundation, on the Welch’s Town Cemetery.